Many of our visitors are interested in the mysterious topic of third eye awakening and how life changes with it. Last time we talked about the wonderful vitamin K2 and the way it helps the organism stay healthy and cleanse the pineal gland out of fluoride. For those who are searching spiritual enlightenment, probably our old post about opening your third eye isn’t enough, that’s why felt tempted to write this one. Ancients used to refer to the third eye as the ‘seat of the soul’. The third eye(sixth chakra) is higher intuition and when it is opened you are developing your innate psychic gifts – clairvoyance, clairaudience etc. 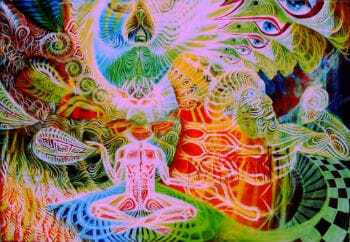 Exploring the Topic of Third Eye Awakening. The “eye of knowledge” is another name for the third eye. According to Eastern spiritual traditions, it’s associated with the intellect, the outside the body experiences (astral travelling) and the knowledge of the universe at a much higher level. 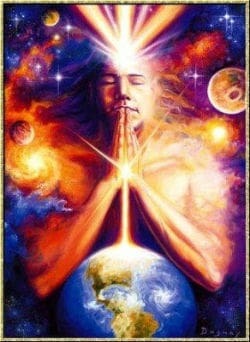 With the activation of its potential, one feels that he has the power to create his own reality, and internal discussions about our place in the universe constantly take place. In ancient tantric texts, it’s mentioned that the third eye needs special attention. Things like sustaining a raw food diet, systematic meditations and etc all help activate it. Harmful to the pineal gland are sugar and dairy products, according to medical studies. High volumes of water are beneficial for the third eye. We examine 5 tips that will help facilitate awakening your third eye. 1. Eating a Raw Food Diet. Our lives are flooded with factory foods which are mainly composed of ingredients that have no connection with nature. Artificial flavours, preservatives and many more are part of the foods we intake. Unprocessed foods connect you with the Universe. Living that way, we congest junk in our bodies and block the natural way our organisms function. We gradually lower our intuition and enter much lower levels of consciousness typical for primitive animals. But to reverse that effect we have to change the the way we look at food and how we eat. Instead of buying prepared foods, nature offers us a solution to many of our problems. Vegetables, fruits, nuts are nature’s children that nourish the body and keep it in a perfect balance for thriving . Avocados, mangoes, bananas present us a chance to break from the level of consciousness we are currently stuck into because of all factory foods we consume and enter a new, broader perspective of life with a strengthened third eye. On your way to third eye awakening, junk food, dairy and meat don’t have part in your diet. Your diet should be composed of foods that are directly or closely related to nature so as not to lose our primordial connection with mother nature. 2. Meditation is Essential to Keep an Open Mind. Meditation is when you stop judging how you feel every given second. It’s when you let it be the way it is. Systematic meditation helps stimulate your awakening. 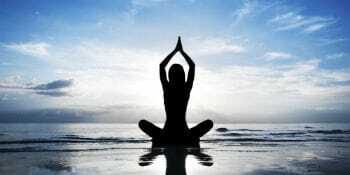 Being in a meditative state on a daily basis can have a profound effect on your body and soul. The ability to go about your days in a relaxed and unstressed manner, resulting in a life lived more fully. I highly recommend you checkout Seven Minute Mindfulness. It’s an easy, super practical meditation based program that will give you all the benefits outlined above, without having to dedicate enormous time or effort. Click the big green button below to learn more. Your consciousness expands and therefore, the insights you get increase. Meditating strengthens the third eye as it gives you a strong access to your intuition. You enter a more natural state where you don’t see the world through the eyes of the ego but through the eyes of an Observer. 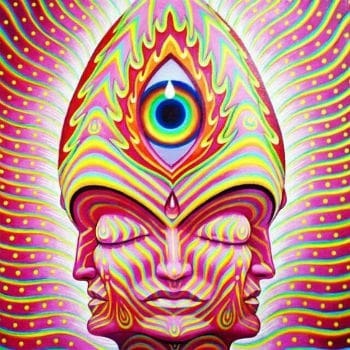 Just set an intention to awaken the third eye every time you meditate and you get results sooner than expected. Be consistent & don’t give up. 3. Eliminate All Fluoride Sources from Your Diet. Flouride shuts down your third eye. Fluoride is perhaps the biggest threat to the pineal gland. The toothpaste we brush our teeth with and the tap water we drink can contain flouride. Taking it regularly, we as human beings obstruct the proper function of our pineal gland which governs our sleep cycles. Fluoride calcifies the pineal gland a.k.a. our third eye and closes it to the extent we lose connection with our intuition. What you can do to decalcify the pineal gland is drink alkaline water and brush your teeth with a fluoride-free toothpaste. In every big supermarket, you can fluoride-free toothpaste. 4. Use Different Chakra Stones to Stimulate Your Third Eye. We made not long ago about the most useful stones for stimulating the function of the third eye, along with a short description for each one, here. Stones such as amethyst, blue lace agate and fluorite are an excellent option to stimulate the sixth chakra. The positive effects are never-ending. Stones help you stay more balanced, focused and opened to the spiritual world, protecting you from negative events and meanwhile, keeping you in peace and harmony. 5. Taking Vitamin K2 is a Good Way to Help Your Sixth Chakra. Due to the unnatural ways of producing food, vitamin K2 is the missing puzzle of our present diet. The discovery was made by Dr. Weston Price – a dentist who spent years researching the subject. Your life changes when you connect with the planet and the Universe. Dr. Weston Price found that the lack of vitamin K2 leads to skeleton erosion – bones losing their strength and their density. On top of that, calcification shows up in the brain too. You start to feel like progress in life is elusive. Therefore, it’s vital that we supply our bodies with enough vitamin K2 so that we keep a decalcified pineal gland and cherish the connection with our psychic gifts. And it’s extremely important to recognize that health should be our top priority. By taking care of our third eye, we make sure that the body functions properly too. This whole third eye awakening is a unique experience for everyone seeking to stay in alignment with your real self, your soul and the vibration of the Universe. 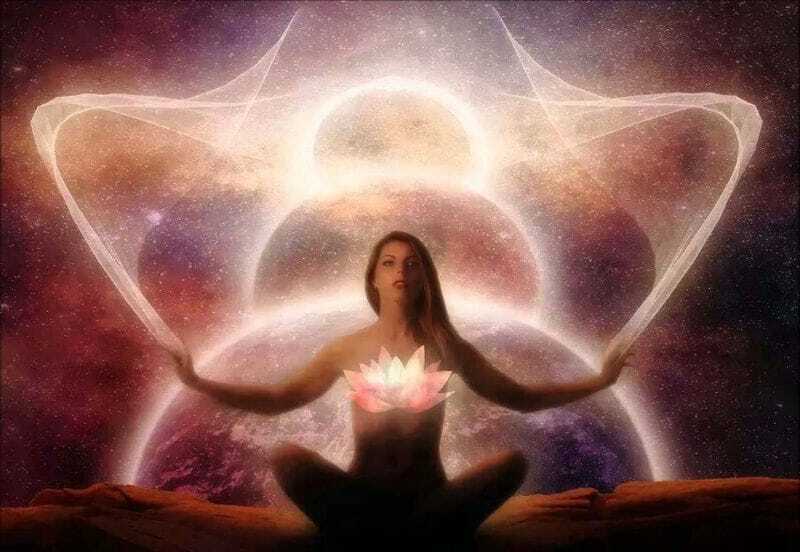 Before you proceed, you might read about the side effects of opening your third eye and as well as some experiences connect with the activation of the sixth chakra to give you a better understanding with what you’re dealing with. We wish you a conscious, conflict-free life. Thank you very much for your articles. Your articles are really helpful. However I have one question – is it true that once your third eye is opened you can predict your future? I’m glad you find the articles useful! It’s true that opening your third eye with a conscious intent will help you pick up information about something that is about to happen. Is it O.K. if a young child ties to open their thrid eye? I am just curious about the dangers a child could get. Choosing to open it is a responsible decision. Before you do it, you must have an inner reassurance that your spirit is mature and can handle it. On condition you are grounded and centered, filled with positive energy you can do it. But first you must make sure you cover these results unless you want to have a bad experience. Hey Georgi. I’m 13 and want to open my third eye. You are saying that you have to be positive but I suffer from depression and I’m bitter sometimes. I also get very bad paranoia with paranormal experiences I have had in my life. So got any tips so I don’t have a bad experience and if I should open my eye? Thank you for commenting. I can relate, so I can tell you to stay away from opening the third eye until you manage to successfully plant the flowers of happiness in your beautiful mind. Suffering from depression, having paranoia episodes & being in negative mood attracts negative experiences. You’ll most probably encounter negative spirits that will further reinforce the cycle of being stuck in the lower levels of vibration, making it hard to escape. Right now, focus on improving your life right now, you don’t want to risk to make it worse.